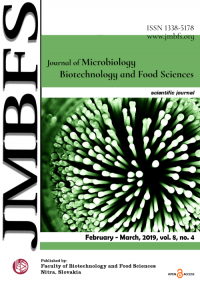 The Journal of Microbiology, Biotechnology and Food Sciences (JMBFS) is committed to the academic community and therefore seeks to publish original work in the best possible form and to the highest possible standards. Articles subbmitted for publication are single-blind peer-reviewed. That is mean: Reviewers are aware of the identity of the authors, but authors are unaware of the identity of reviewers. 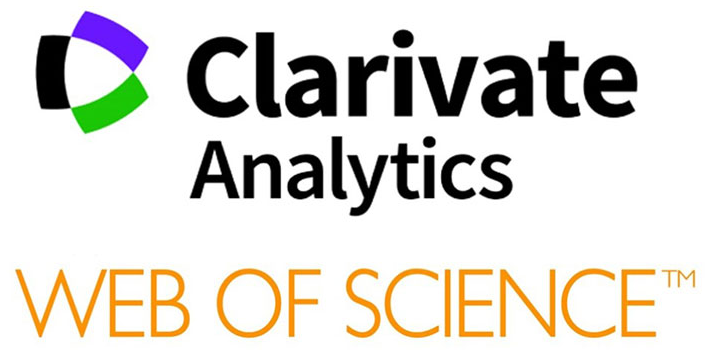 There are at least three or more reviewers for the total number of articles in each issue. It is necessary to agree upon standards of expected ethical behavior for all parties involved in the act of publishing (authors, editors, peer reviewers, publisher). The JMBFS ethic statements are based on the guidelines and standards developed and published by the Committee on Publication Ethics (COPE). All documents are available free of charge on COPE website (http://publicationethics.org/). Articles published in the Journal of Microbiology, Biotechnology and Food Sciences are freely available for anyone to access and view under an open access publishing model. JMBFS offers Green Open Access way of publishing, without payment or embargo period. Author may voluntarily re-use his own version of the article submitted to the journal (pre-print) or the version accepted for publishing (post-print) on his own personal website or institutional repository. All papers published in the Journal of Microbiology, Biotechnology and Food Sciences are published under a CC-BY licence (CC-BY 4.0). Published materials can be shared (copy and redistribute the material in any medium or format) and adapted (remix, transform, and build upon the material for any purpose, even commercially) with specifying the author(s). All articles in the JMBFS are supposed to be original. Authors submitting manuscript declared that submitted manuscript is original and has not previously been published in thereof and that no part of the article has been prepared from other published material. Slovak University of Agriculture in Nitra, as a publisher of scholarly/scientific publications, is a member of the Crossref – Digital Object Identifier (DOI) Registration Agency of the International DOI Foundation. As a member of Crossref, the University participate on publishers plagiarism prevention initiative and used service Similarity Check (Turnitin – database iThenticate), which helps editors compare of own submitted content/articles for originality/similarity to other published academic and non-academic content on the web. Screening software is applicate by editors of the Journal of Microbiology, Biotechnology and Food Sciences (JMBFS), too. Plagiarism control is a part of last evaluation process of manuscripts after paper submit and before the acceptance. Results this act are important for manuscript acceptation, or not. When plagiarism from 0 to 50 % has been detected, manuscript will be sent to author for content revision. In case of plagiarism detection >50 %, the manuscript will be rejected. self-plagiarism (re-use of significant parts of one’s own copyrighted work without citing the original source). All articles in the JMBFS are fully peer reviewed by qualified, independed reviewers, and by the Editorial Board members, too. Single-blind review is using for consideration. Peer review process will be made as soon as possible, and review report/conclusion with comments should be return to author(s) until to 10 weeks. Paper will be published possibly in the next issue. The JMBFS editor is responsible for deciding which of the articles submitted to the journal should be published. The JMBFS editor will accept and evaluate manuscripts for their intellectual content regardless of race, gender, nationality, ethics origin, political philosophy, religious belief or sexual orientation of the authors. Editors must not disclose any information about a submitted manuscript to anyone other than stakeholders. Unpublished manuscripts or materials must not be used in an editors own research. Authors attest that paper is their own, original and unpublished work. Authors guarantee that the manuscript it has not been copied or plagiarised (in whole or in part); a paper should contain sufficient detail and references to permit others to replicate the work; any used information resources (phrases, data, images, …) must be appropriately cited or quoted. Affiliation (all authors/co-authors) and corresponding adress (main author) must be clearly stated. When an authors discovers a significant error or inaccuracy in own published work, it is the author’s obligation to promptly notify the Publisher and cooperate with the editor to retract or correct the paper. Privileged information/ideas obtained by reviewers through peer review process must be kept confidential and not used for personal advantage. Personal criticism of the author is inappropriate, review should be conducted objectively. All suggestions and comments should be followed with supporting arguments. We collect and use, and may from time to time supply third parties with, non-personally identifiable information as anonymous, aggregated user data for the purposes of site usage analysis, quality control and improving the JMBFS Web Sites. We use temporary „session“ cookies to maintain information we need to have in order for you to view articles and browse from page to page. We use „persistent“ cookies to give you a more personalized browsing experience and to help you navigate the Site more efficiently. In all cases in which cookies are used, the cookie will not collect personally identifiable information except with your explicit permission. You can prevent your browser from accepting new cookies, have the browser notify you when you receive a new cookie, or disable cookies altogether by accessing your browser’s preferences menu. We sometimes request users of the JMBFS Web Sites to provide personally identifiable information. The information collected from a user is strictly voluntary. In order to access certain content and to make use of the advanced personalization features of the JMBFS Web Sites, you must register and obtain a personal User Name and Password. If you register, you may be asked for your contact information, such as your name, e-mail address, postal address, and country of residence („Personal Information“). Personal Information can only be retrieved by supplying the correct User Name and Password that is linked to your profile. The JMBFS Web Sites may provide you with comment boards and/or other opportunities to post information and interact with other users. In the event you voluntarily disclose personally identifiable information using such services, that information, along with any substantive information disclosed in your communication or post, can be collected, correlated and used by third parties. This may result in unsolicited messages from third parties. Such activities are beyond the control of JMBFS. JMBFS does not monitor or review the contents of any comment board message or other interactive posting option available through the JMBFS Web Sites. We also may use the Personal Information for JMBFS Web Sites and system administration, such as for the technical support of JMBFS Web Sites and their computer system, including processing computer account information, information used in the course of securing and maintaining JMBFS Web Sites, and verification of JMBFS Web Sites activity by JMBFS Web Sites or their agents; tailoring or customizing content or design of JMBFS Web Sites during a single visit to an JMBFS Web Site and individualized personalization of JMBFS Web Sites on repeat visits; research and development to enhance, evaluate and improve JMBFS Web Sites and our services; analysis to create a profile used to determine the habits, interests or other characteristics of users for purposes of research, analysis and anonymous reporting, and communicating with you about changes or updates to JMBFS Web Sites or, with your consent, special offers or promotions. JMBFS will not share your email address with any third party without your consent. Additionally, you will have the opportunity to opt out from special offers and promotions to which you may have previously consented. In compliance with the Children’s Online Privacy Protection Act (COPPA), the JMBFS Web Sites are intended for general audiences. JMBFS does not intend to collect any Personal Information from children under 13 years of age, unless we believe such collection to be permitted by law. Our JMBFS Web Sites target an audience that is over the age of 18 and some content may not be appropriate for all ages. Parental supervision is recommended. If you are the parent or guardian of a child under 13 and believe that he or she has disclosed Personal Information to us, please contact JMBFS at jmbfs@jmbfs.org. Upon request, the parent or guardian of a child under 13 may review and request the deletion of such child’s Personal Information, as well as refuse to permit the further collection or use of such Personal Information. The JMBFS cannot take responsibility for information found on third party Web sites outside its control. While we attempt to provide links only to third-party Web sites that comply with all applicable laws and regulations and our standards, please understand that the content on these third-party Web sites is subject to change without notice to JMBFS. We therefore cannot be responsible for, and accept no liability for, any information or opinion contained in any third-party web site.